I went home to Canada over the Christmas holidays, where it was (and still is) the deep midwinter. It was a good trip, but two weeks was much too short a time, and in the last days I was there I couldn’t help but feel frustrated and sad because it felt much too familiar to be saying good bye to all the same people all over again. How is it that I’ve managed to design my life to be so far away from friends and family? Why am I constantly measuring the time I have with these people in hours and minutes instead of weeks and months? Please remind me again why I live in a cold, grey, enormous city full of seven million people who don’t care whether I live or die? But I digress. Back to the Canadian prairies, circa late December, 2010. 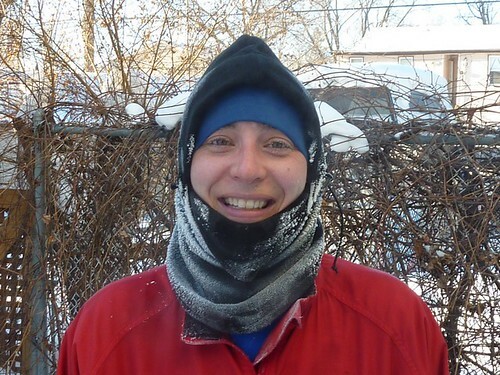 Anyone might expect that things were cold and uncomfortable over there, but in fact that’s only true for part of the time – the part of the time when you’re actually outside. When I told this story to my friend Kampala Rob he came back with a tale about a public service ad campaign in Scotland he’d heard about that urged people to close their windows before going to bed in the winter. Apparently the old and infirm were impertinently freezing to death in their sleep because they insisted on going to bed with a window open. And this was in Scotland, where they presumably know a thing or two about inclement weather. Trust me Scotland, if your housing stock is anything like the vintage and quality we have in London, then the chances of you suffocating due to lack-of-draftiness are vanishingly small, even if you were to seal up every window in the house. 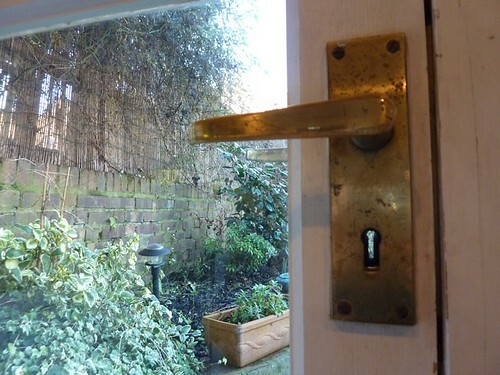 The airflow through keyholes and door jams alone will ensure a healthy supply of fresh air for eternity. I guess this could be part of why the English react so strongly to what is really very mildly chilly weather. I know it must seem insufferably smug, but I can’t help but snicker at TV weather reporters who describe current conditions as “arctic” when the mercury has barely dipped below zero. 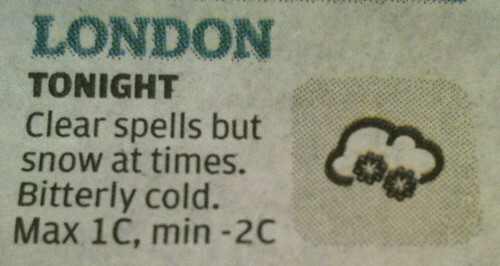 And I just had to take a photo of this weather forecast from the Evening Standard. Minus two? Bitterly cold? Are you kidding me? I really thought when I moved here that I’d find the culture comfortable and familiar. After all, I did grow up with steak and kidney pudding for Sunday supper, and grandparents with an appropriate accent and all manner of other Anglo-accouterments. But it turns out that there are some things that just get coded into your DNA when you grow up in North America, and it seems that a belief that one is entitled live and work at a comfortable temperature is one of those things. I think it just honestly doesn’t occur to some Britons that they shouldn’t have to be wearing their coats half an hour after walking in the door because they haven’t warmed up yet (true story). Maybe it’s part “stiff upper lip” and part “make do and muddle through” and part “very long wartime austerity hangover”. Whatever it is, it’s a bizarre and uncomfortable phenomenon and one which I’ve grown very weary of in a very short amount of time. And that’s the weather report from this chilly north London bedroom: 17 degrees with a risk of frost over night and continuing cold spells throughout the week. Spring can’t come soon enough. Hi! This all looks familiar, doesn’t it? I’m assuming that 99.9% of you have linked here from my old blog Go See Run Eat Drink. It’s nice here, isn’t it? I like the new colour scheme and the new header image, and the new name, but I especially like that it’s all still GSRED too. That was a great blog, lovingly designed by me (a bit) and by the long-suffering Phonella (a lot), and it just didn’t make sense to start from scratch when there was such a good template to build on. There are a few new widgets over in the sidebar, and the design may evolve a bit as things progress. I finally decided that instead of waiting until it was perfect, I’d just forge ahead and edit as I go. But essentially it’s meant to look like Go See Run Eat Drink, The Sequel, which is exactly what it is. See, this one is just like the old one, but sort of London-y. If none of this makes any sense to you, then you probably didn’t link over here from Go See Run Eat Drink. In that case, I can only assume that in the weeks and months following the launch of this new blog it has become a genuine internet sensation, linked to from all the cool-people websites, and spawning a line of travel clothing, several pointless Facebook groups, and at least one of those weird cat photo meme things reading “I haz Go Stay Work Play Live”. (Are those even still a thing?) So for you newcomers, that original blog was, as the sub-title indicated, about my year travelling the world – the getting ready, the going, and the coming home. You should go read it, there was some good stuff in there. Like here, and here and here. That whole experience was, not surprisingly, life-changing. When I conceived of the notion of a year-long trip around the world back in the spring of 2008 I’d been in the same job for eleven years and in the same house for ten years and I was about to turn 40 years old. The farthest I’d travelled was to England and France, when I was a mere 19 years old and Ronald Reagan was not only still alive, but still U.S. President. So yes, I’m old, and yes, I was stuck in my ways. 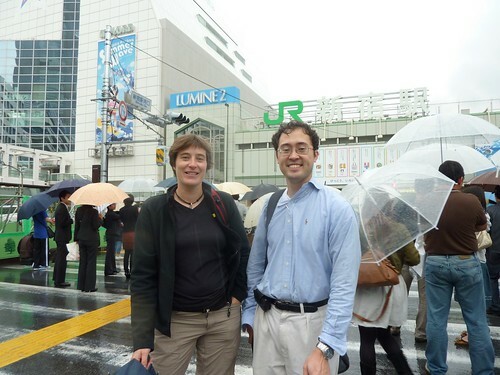 Me and Charles, a former complete stranger and fan of Go See Run Eat Drink who was living in Tokyo and invited me out for the day while I was there. And then the trip ended. I blogged a few more times after I got home but really, the air just went out of my blogging tires. Blogging was something I’d done while travelling, and I wasn’t travelling anymore. I was getting on with my life, which is now in London, England. Here’s a funny thing: it turns out that when you quit your job and spend a year travelling to thirty or so different countries, when you get back home again it all seems a bit… boring. When I left on the trip lots of people said I’d come back as a completely different person, and even I thought that might be true. Who knew what would happen? Maybe I’d have an epiphany and go work in a pediatric AIDs orphanage in Africa, or retreat to a beach hut in Bali and earn a living selling sea shell necklaces to tourists, or meet a dashing European man and live with him in his villa in Tuscany. But none of those things happened and when I got home I felt pretty much the same as when I’d left, with one crucial difference: I’d learned there was a lot more out there than what was available to me in Canada, and I wasn’t afraid to go try it out. Quitting my job, selling my house and saying good bye to all my friends so that I could travel the world were all very hard things to do, but that hard work was done ages ago. This meant that taking the next step – moving overseas to London to try to make a go of it there – didn’t seem like a very big deal at all. And so here I am, living and working in one of the greatest cities on the planet. And it turns out there are a lot of things over here that might be interesting to other people. And it also turns out that I kind of miss blogging and feel like getting back at it might help me appreciate being here, and force me to get out and enjoy what the city has to offer, and keep in touch with people back home. So I’m giving it a shot. 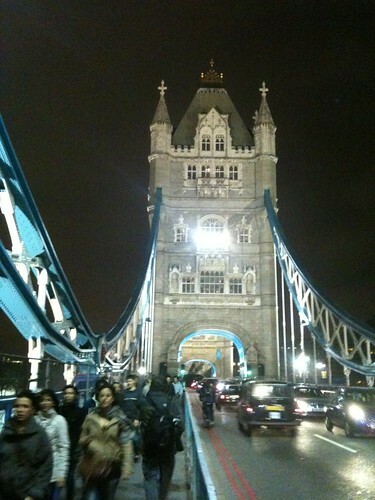 One of the things the city has to offer – the view from Tower Bridge, taken while I was running home from work. I also run right past the Tower of London. No offense, but you just can’t do that stuff in Winnipeg. Posts here will probably be shorter than the epics I was churning out over at GSRED, and less frequent. I’ve a got a job to do and bills to pay, so I just don’t have the time to crank out two thousand words every other day. And you’ll likely have to put up with a lot more low-res iPhone photos (like the Tower Bridge pic above), because I’m not a tourist anymore so I’m not carting around my proper digital camera everywhere I go. However I sense there will be things to say that someone might want to read, and I think I can still be counted on to spell correctly most of the time (except I’m already getting a bit schizophrenic about British vs. North American spellings of things like realise/realize), and properly employ the possessive apostrophe, and even toss in an occasional semi-colon (though I know I’ve got a bit of a problem with commas, and the overuse thereof. I’m looking for a local branch of CA right now…) (And yes I know I use ellipsis too much too….). And if you learn something along the way, or have a laugh, or decide to come visit as a result, then you can thank me later and buy me a beer.